Beirut: BroadNet - a leading telecommunication company from Lebanon and with offices in the UK, and UAE; is offering scalable business solutions to its valued clients across industries through cutting-edge and affordable SMS solutions. 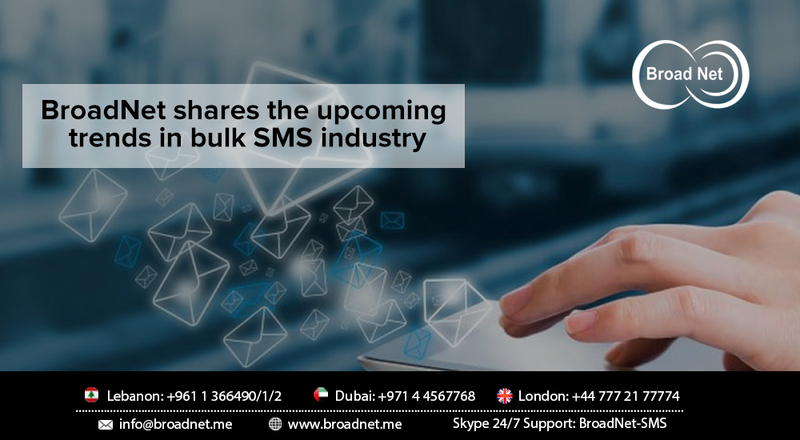 BroadNet S.A.R.L works as a long-term SMS solution provider for companies that need to leverage on SMS marketing to reach out to new set of targeted audience. It provides a fully operational Bulk SMS Platform that can adapt to new business environments. This platform enables businesses achieve highest quality service and effective support compliance handling. SMS marketing is evolving. The upcoming trends of the industry would include increased usage of standalone emojis for conveying innate emotions, integration of AI and automation with SMS, adoption of futuristic tools for bulk posting and etc. The entire industry is phasing through strategic changes and it is improving. "We trust the services offered by BroadNet because of its professional accuracy, and the agility. Our messages are almost always delivered with 99% accuracy and speed; with zero literal issues," says a customer with BroadNet Technologies. BroadNet's extensive expertise uncomplicate the entire process of quickly sending bulk SMS. The evolving trends of the industry indicate use of futuristic tools and technologies and BroadNet presently integrate these into the processes to ensure the solutions it offers can benefit it. To learn more about BroadNet technologies and how it can help your business scale new heights; please visit their www.broadnet.me Now!